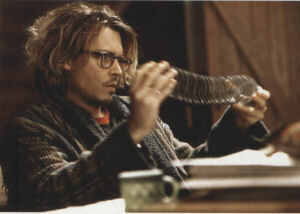 Saving his post-Pirates success and an Academy Award nomination, Johnny Depp gets creepy in Secret Window. Buoyed by Pirates and an Oscar nod, Johnny Depp goes for screams in Secret Window and learns to live with superstardom without losing his hipster cred. Welcome to another episode of the ever popular Johnny Depp Show, in which our featured star brings his idiosyncratic bag of tics and tricks to yet another middling vehicle, making it immeasurably better. This time it’s Secret Window, a paranoia thriller based on a 1990 novella by Stephen King, which plays like the training-wheel version of the same author’s The Shining (1980). 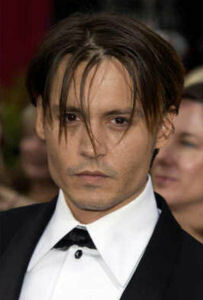 Here’s Johnny, indeed. As in Shining, the protagonist in Window is a scribbler suffering from writer’s block who is rambling around in a place too big for him and having mean thoughts about his wife. Or, here, his soon-to-be ex-wife. Mort Rainey is a successful novelist gone to seed in the six months since he discovered that his spouse (Bello) was cheating on him. He’s living alone in a roomy lake house in upstate New York where, one day, a hick (Turturro) in a cowboy hat shows up to accuse him of plagiarizing a short story in which a man murders his wife. He threatens to harm Rainey and his wife if the writer doesn’t make things right. 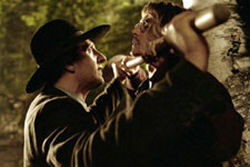 But it isn’t until he kills Rainey’s dog that Rainey takes him seriously. All of this is mildly creepy but, as written and directed by David Koepp (who wrote Panic Room), there’s never a sense of mounting suspense or dread. Mostly, the movie plays like an extended treatise on why writers should get to the gym or coffee shop rather than spending too much time burrowing into their own twisted brains. 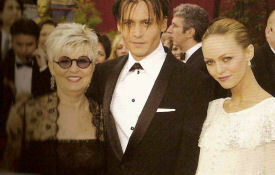 Depp, his hair a waterfall of blond highlights and his basic attitude one of scornful skepticism, seems amused by his own performance, as well he might. Turturro hams it up, doing sinister with an occasional John Wayne spin. Bello, stuck playing straight woman to Depp, acquits herself honorably, but Johnny obviously is the one having all the fun. 2 ½ Stars out of 4.